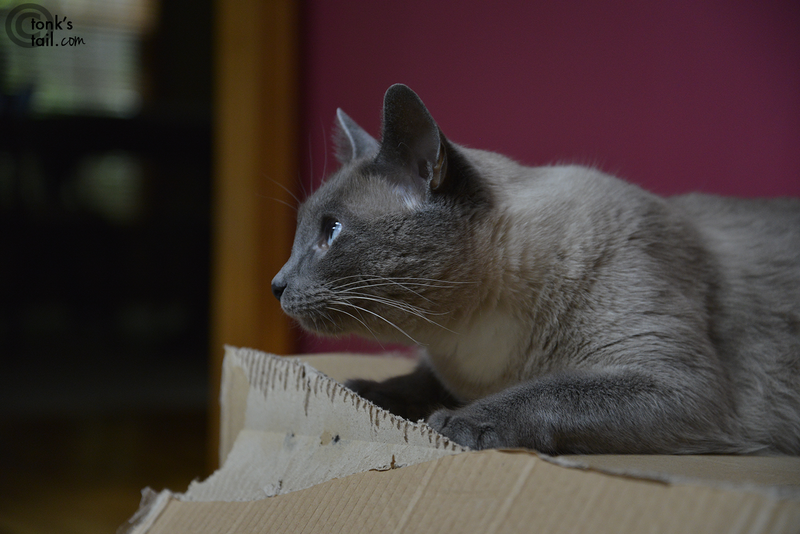 A Tonk's Tail... err, Tale...: Box, Interrupted. Were you interrupted while CHEWING the box? Look very guilty. Now we are wondering what is the interruption to your boxing? Have a tremendous Thursday. There is something very interesting to see! More like box in the middle of being destroyed! We hope you can get back to that box, Maxwell. So, was that the 5-run, 5-pitcher inning you was watching there, Buddy?? Serious box work happening there! Does your mom-person also tells you not to chew on boxes ? !